Is Amazon Studios the next Netflix? Not quite, but it’s not for lack of trying and some have already called them a Hollywood threat. Lots of stuff is cooking over there: the John Goodman-starring political comedy “Alpha House,” Nicolas Winding Refn’s “Barbarella;” even the “Zombieland” series may potentially land there. “World War Z” director Marc Forster’s “Hand Of God,” starring Ron Perlman, is also nearing an official pilot green light. The Cosmopolitans pilot is now streaming on Amazon Prime...they're going off a user voting model to choose which shows to pick up. It hasn't yet gone to series. Kate Beckinsale and Chloe Sevigny are set to appear in director Whit Stillman's latest project, Love and Friendship, an adaptation of Jane Austen novella Lady Susan. The cast of Love and Friendship also includes James Fleet (The Phantom of the Opera), Tom Bennett (Shadow Dancer), Justin Edwards (Thor: The Dark World), and Jemma Redgrave (TV's Dracula). The upcoming film does not yet have a preliminary theatrical release date, but shooting is set to begin in Ireland later this month. Last night the American Cinematheque @ Aero hosted a reception + QnA with Whit Stillman. Two of the actors were attendance for the panel after, too, Tara Subkoff and Burr Steers. Good banter between the three but it was clear we were there to peek into Whit's mind, and this affectionate film in particular. Anyone who's been on set can sympathize with Whit's inspiration to shoot a movie that's focused primarily on the tangibly cathartic atmosphere of the dance floor. Apparently they played Rasta + Reggae in the lobby just to escape the pop and disco energy for small bits. Whit mentions that amazon is asking (him, we assume, but all pitches probably) for stories that work on an international market level. There's talk of the music selection, portraying the 70s through the lens of the "early 80's" which he says was its own meta bubble which he appreciates. This meta bubble of retrospective is clearest in his novelizations. A fan asks if he'll do more of those and Whit nearly flinches. "I wrote the novel for this one and didn't make another film for 12 years," he laughs "having worked in film and the publishing world I can say one of those gets paychecks. Rarely!" Also he's very grateful to "Universal and Jason" for the latest 20th Anniversary DCP that was commissioned for The Last Days of Disco's birthday. 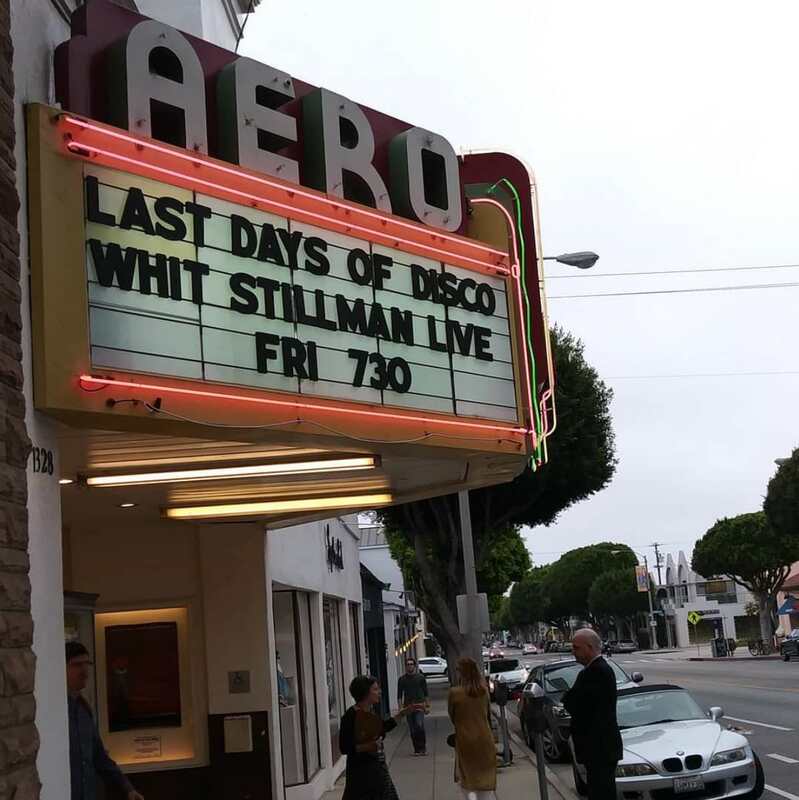 The Aero didn't play it but Whit is very excited to tour it especially because he's "not part of the 35mm or 70 cult. I like how the latest DCP looks." The crowd was enjoying every beat of the film and there was applause basically through the entire credits. He mentions the studio blanching at the Amazing Grace credits needle drop. I think it's wonderful, this film is joyful and precise to so much about that feeling of adolescence ending into adulthood and culture passing you by even faster. A good diss in the talk was Burr Steers' casual "and can we take a moment to appreciate Whit's influence on a whole generation, of an HBO show, of an indie aesthetic..."